Argentina and Brazil ratified their strategic alliance on Monday during a business seminar opened by Presidents Cristina Fernandez de Kirchner and Lula da Silva in Buenos Aires. Brazil's Minister of Economy warned Tuesday that the sustained appreciation of the local currency Real against the US dollar has reached a limit and if the Real continues to advance, it could ruin our external accounts. Brazilian president Lula da Silva said he believes the Doha round global trade talks have not failed and anticipated that Brazil will insist that negotiations should continue until a satisfactory agreement for all is reached. 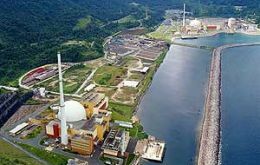 The Brazilian government has authorized the resumption of plans to expand the country's nuclear power program, basically a third power plant. 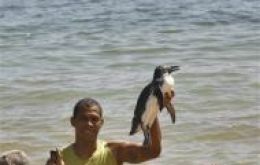 Work on the Angra 3 reactor, near Rio de Janeiro, has been stalled for 22 years by a lack of money and political issues. 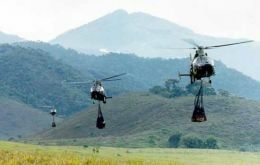 Brazil does not intend or is planning a massive troop build-up along its northern borders but wants a well-equipped rapid strike force to dissuade foreign intrusions, a senior government official said this weekend. Brazilian President Luiz Inacio Lula da Silva has called on developed countries to donate money to a new fund designed to protect the Amazon rainforest. Brazilian aircraft manufacturer Embraer this week that profits more than doubled in the second quarter, driven by strong sales of midsize commercial jets and the company's new, popular executive jets. Brazilian President Luiz Inácio Lula da Silva of Brazil is expected in Argentina on Sunday to have his first meeting with President Cristina Fernández de Kirchner since the two nations clashed at the Doha round trade negotiations which collapsed on Tuesday in Geneva. Rio Tinto PLC, the world's second-largest iron ore producer announced Tuesday it will spend 2.15 billion US dollars on a major expansion of its iron ore mine in Corumbá, Brazil, to help meet increasing demand in South America and the Middle East.